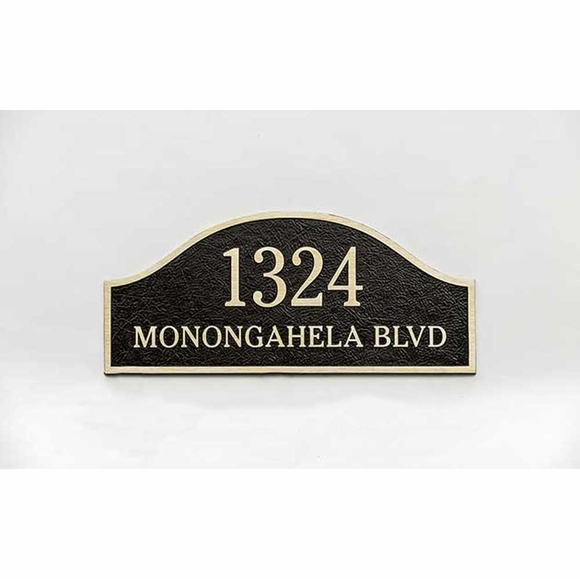 Serpentine Arch Custom Address Plaque - - 16" x 7" sign displays the house number and street name you supply. Made in USA. Cast aluminum construction with distinctive leatherette texture and clear-coat sealer. House number line holds up to four (4) 2.5" characters. Street name line holds up to sixteen (16) .875" characters. Color: dark oxide background with bronze-tone characters and border.